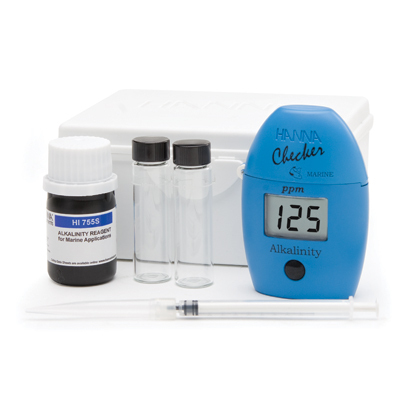 The Alkalinity Checker from Hanna is a quick and easy way to obtain accurate results. 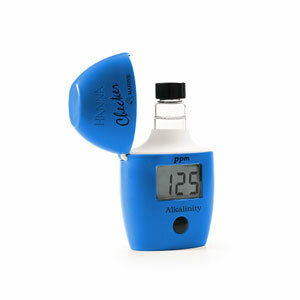 AquaFX uses this alk. checker in aquariums, home water treatment, industrial and environmental applications. 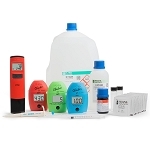 HI755 Checker® is supplied with (2) sample cuvettes with caps, alkalinity reagent starter kit for 25 tests (1 bottle of alkalinity reagent), ­­­(1) battery, instructions and quick start guide.